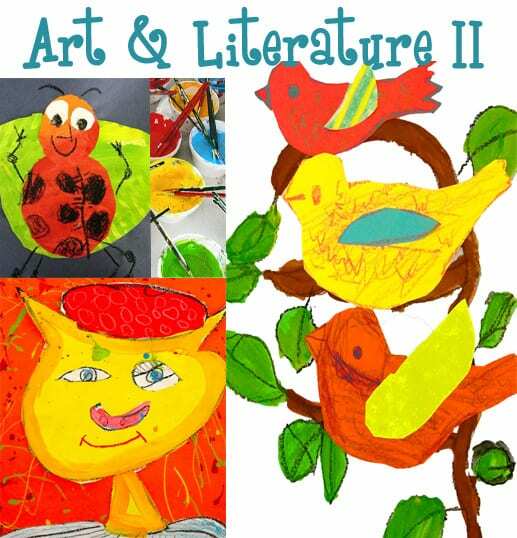 Literature is my favorite art room resource and inspiration. 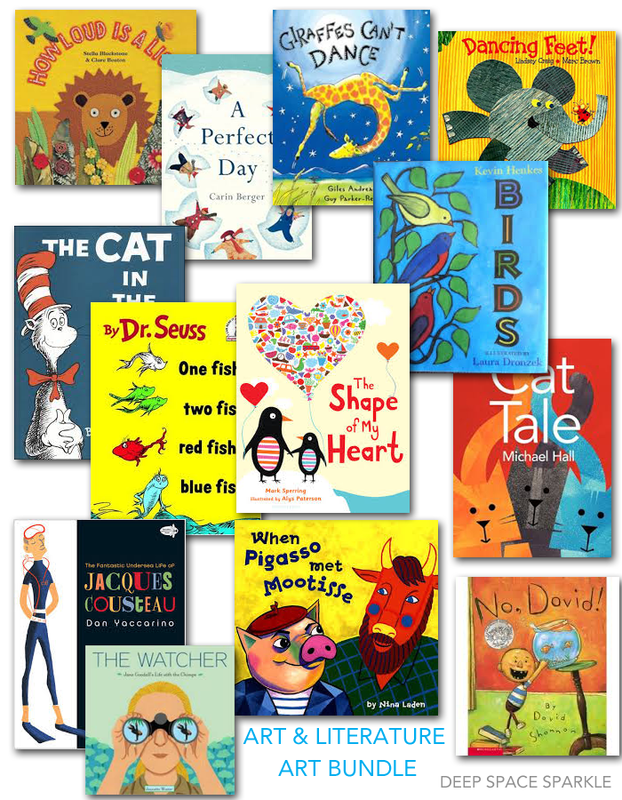 Looking through picture books and designing art activities that my students love is what got me through my first few years of teaching and is what still inspires me today. 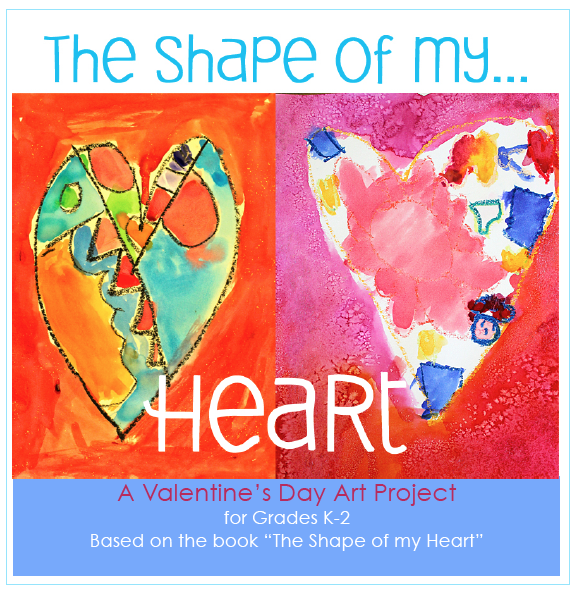 And it seems as though Art & Literature projects are what you love, too. They continue to be my best selling lessons and most requested lesson ideas. 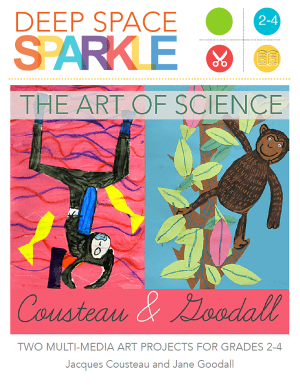 This Art & Lit Package is designed to enhance your classroom art activity and provide connections through art-making. 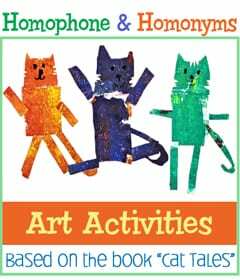 Children will learn how to draw through guided and observation drawing techniques, paint with watercolors and tempera paint and create colorful paper art. 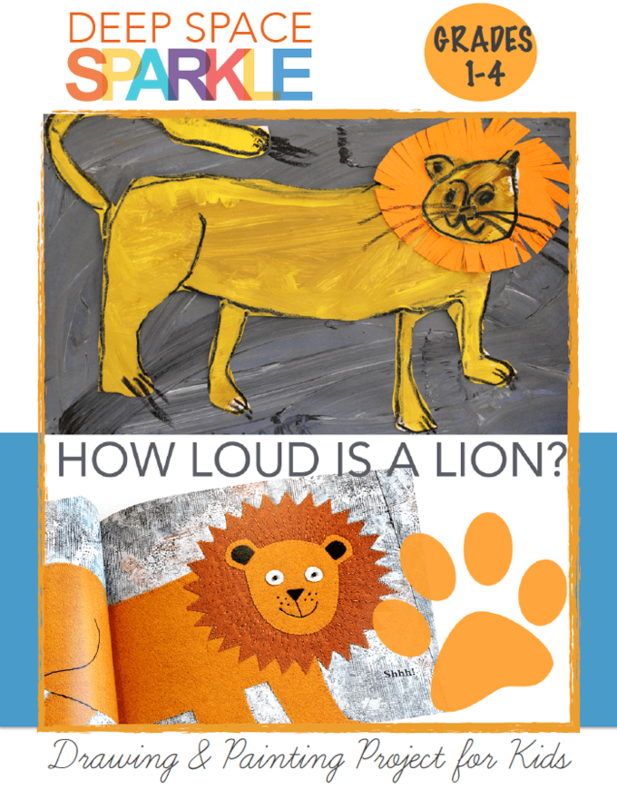 Children follow a guided drawing of a lion and use various painting techniques to create a mixed-media collage. 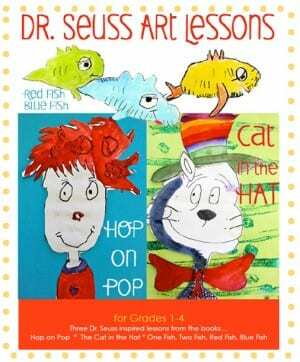 Inspired by Dr. Seuss's colorful and whimsical books, children learn to draw a cat in the hat, colorful fish and Red Ted. 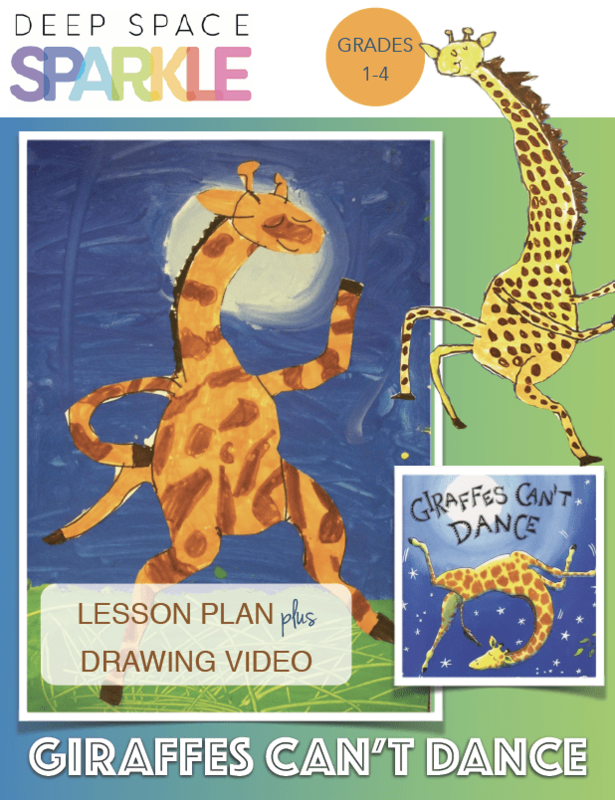 Learn how to draw a dancing giraffe by following the steps in the drawing video and color with your choice of paint, markers or colored pencils. A fun painted paper activity that will hone cutting, pasting and composition skills. 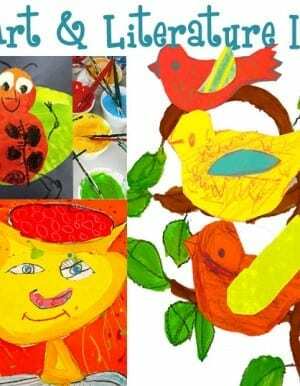 Children can use included templates to create beautiful art or learn how to draw on their own. Coloring pages included. 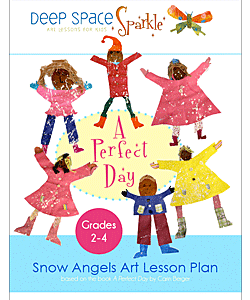 Draw, paint, color, cut, splatter and design your way to a beautiful snow angel collage. 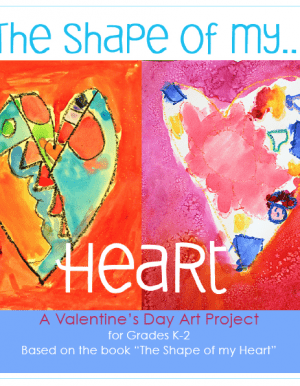 A simple, yet beautiful art project and coloring page. Children will love drawing their favorite David scene from the No, David! series by David Shannon. 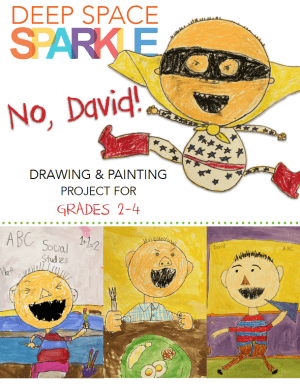 Detailed, expressive and technique-rich collages that keep kid's engaged. 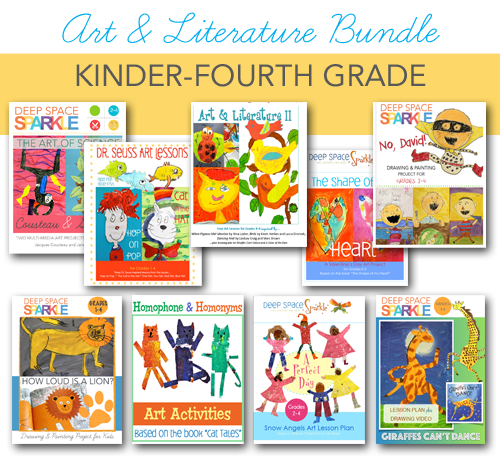 This bundle includes 15 individual art lessons and one drawing video. 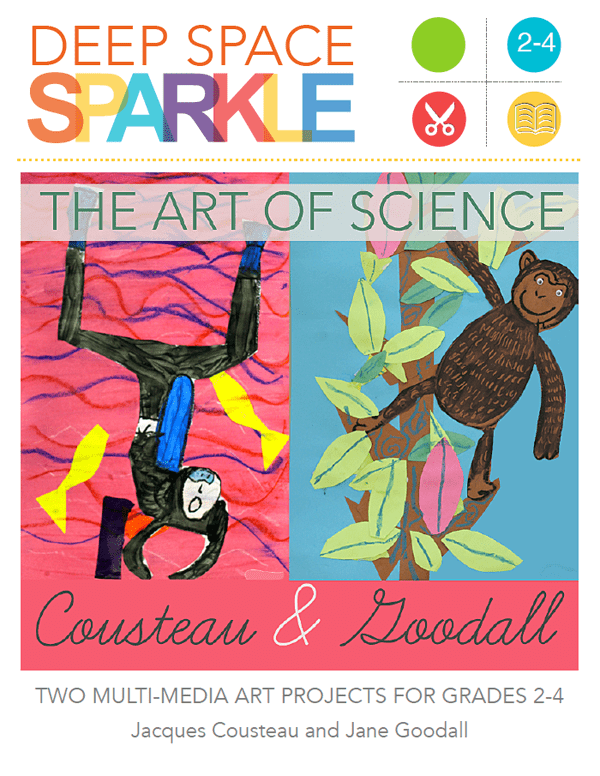 These PDF packets are a combination of my most popular art lessons on Deep Space Sparkle. Click on the link to see a detailed description of what is included in each lesson plan packet.